Even children who suffer a mild brain injury early in life are at risk of long-term functional impairments and learning disabilities, suggests new research published in JAMA Pediatrics. Researchers also found that a child’s home environment plays an important role in the healing and outcome of pediatric head trauma, with poorer outcomes noted in children with permissive parents, highly authoritarian parents and households with fewer resources. The purpose of the observational cohort study was to compare and contrast the outcomes of early childhood traumatic brain injury (TBI) relative to childhood orthopedic injuries, while accounting for the influence of parenting practices and social environment. The research included one general hospital and three children’s hospitals, with patients enrolled for the study between January 2003 and October 2006. Follow-ups were performed from 2010 through April 2015. 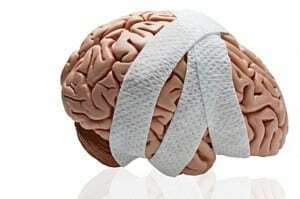 The study authors examined 72 children who sustained orthopedic injuries (broken bones or mild fractures) and 58 children who suffered various types of TBI, all of which were between the ages of 3 and 7 at the time of enrollment. The children were tracked at multiple points for the study, up to 6.7 years after their injuries. Assessments were made using the Child and Adolescent Functional Assessment Scale (CAFAS), which measures long-term functional outcomes in daily settings. The findings indicated that children with mild traumatic brain injury had greater functional impairments and problems in school compared to those who had sustained an orthopedic injury. Additionally, the researchers found that functional impairments in participants with TBI were more pronounced among children from homes with higher levels of strict parenting, permissive parenting and fewer resources. “Improving parenting skills and quality of home environment may promote functional recovery following early TBI,” concluded the study authors. Other research has suggested that an early childhood brain injury can be followed by a notable decrease in cognitive and behavioral skills at the time of the trauma, in addition to a “stalling period” afterwards, that can affect the ability to maintain friends and jobs later in life. The American Academy of Pediatrics released a separate study on childhood TBI, finding that children suffering from a brain injury are almost 5 times more likely to struggle with moderate to severe depression. According to the Brain Injury Association of America, an estimated 62,000 children between the ages of 0 and 19 sustain brain injuries every year, requiring immediate medical treatment and hospitalization. TBIs account for 2,685 deaths annually in children ages 1-14. If your child suffered a head injury caused by another party’s negligence, you may be eligible for monetary compensation. Liable parties may include negligent daycare or school personnel who failed to supervise and provide a safe environment, or reckless drivers who caused an accident. Discuss your options with an experienced personal injury lawyer at Hardy, Wolf & Downing. We provide unrivaled legal representation to clients throughout the Portland, Bangor, Lewistown and Southern Maine areas. Call our offices at 1-800-INJURED.